NCL has been providing services to the environmental and regulatory community for more than 25 years. Over these years, the laboratory has gained a tremendous amount of technical experience with a wide variety of matrices. During this time, the lab has focused on the analysis of difficult and unusual pesticides and herbicides using GC, HPLC, GC/MS and LC/MS/MS instrumentation. 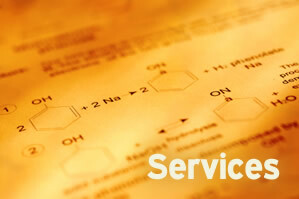 NCL first began providing analytical services for FIFRA registration studies in 1987. Since then, the lab has performed more than 140 studies ranging in size from a few samples to more than two thousand samples. NCL has extensive experience developing new methods for numerous classes of agricultural chemicals in plant, animal tissue and environmental matrices. Laboratory chemists have also been successful at modifying existing methodology to meet changing regulatory requirements. With the permission of sponsors, NCL has streamlined and simplified older methods so that disposable glassware and smaller volumes of solvents can be used. This strategy has been made possible by the use of more sensitive and specific detection tools such as GC/MS operated in the SIM mode and LC/MS/MS. In many instances the tremendous specificity and sensitivity of API-triple quadrapole LC/MS/MS for detection and quantification has allowed significant simplification of sample preparation procedures. This technological innovation has proven to be especially useful for methods that were formerly so complicated that they could not be completed in the 24 hour time period required for enforcement methods. In addition, the use of LC/MS/MS has often allowed parent and metabolites, which had formerly required separate analyses, to be analyzed together in a single analysis. These advantages often save the sponsor considerable time and cost. At North Coast Labs, FIFRA Studies are overseen by a Principal Scientific Investigator (PSI). The PSI is the principal contact for the duration of the study. At NCL the PSI's primary responsibility is study management. Therefore, a PSI's efforts are entirely devoted to implementing procedures within the laboratory for meeting the registration requirements of a given sponsor and assuring compliance with GLP standards. The PSI is responsible for overseeing method development, method validations, data review, data compilation, and final report writing. NCL is fully compliant with federal Good Laboratory Practice Standards. The laboratory has been audited by EPA and quality assurance professionals from a variety of sponsors. NCL’s GLP compliance program is designed to maintain laboratory compliance with GLP regulations as set forth in 40 CFR section 160. This program consists of a set of procedures which ensure that all events during the course of a study are thoroughly documented and that this documentation is properly archived. These procedures are also intended to make certain the following conditions are met. A study is performed according to the sponsor’s requirements as stipulated in the study protocol. The analysis process is performed by trained personnel. A study is performed according to current standard operating procedures. Samples, test substances, raw data, final reports and analytical standards are archived properly. Although the PSI is responsible for GLP compliance during the course of a particular study, the Quality Assurance Unit provides an independent assessment of study compliance—QAU personnel conduct protocol, sample receipt, in-process, raw data and final report audits on each critical phase for every study. In addition, detailed semi-annual facility inspections of each laboratory are performed. All findings are reported directly to the PSI and management. The North Coast Labs Quality Assurance (QA) Program has been designed to ensure that all reported data and results produced by an analytical procedure are technically sound, statistically valid, and properly documented. QA objectives set by NCL are to produce data of known precision, accuracy, comparability, and completeness. In order to comply with EPA Good Laboratory Practice Standards, NCL has a Quality Assurance Unit (QAU) that is independent and separate from personnel engaged in the direction and conduct of studies. This group consists of one full time QA professional and an assistant. QAU maintains the Master Schedule, maintains copies of all study protocols, inspects and audits the in-process, raw data and final report phases of all studies, and provides management with written reports regarding study status and any problems that may affect study integrity. The QAU is also responsible for all GLP compliance training. New employees to the FIFRA Studies Division receive training that includes such topics as raw data collection and documentation procedures. Employees are given ongoing training in the form of discussions regarding audit findings, updates on EPA GLP Advisories, and informal presentations of information acquired from off-site meetings. QAU staff members undergo periodic training themselves through routine attendance at regional and national meetings of the Society of Quality Assurance. All laboratory operations, including personnel training, analytical standards preparations, extraction procedures, and equipment operation and maintenance are documented in Standard Operating Procedures in accordance with federal GLP requirements. The QAU maintains archives of all Standard Operating Procedures and is responsible for assigning a unique number to each SOP. This arrangement provides a centralized and orderly system of maintaining SOP's.